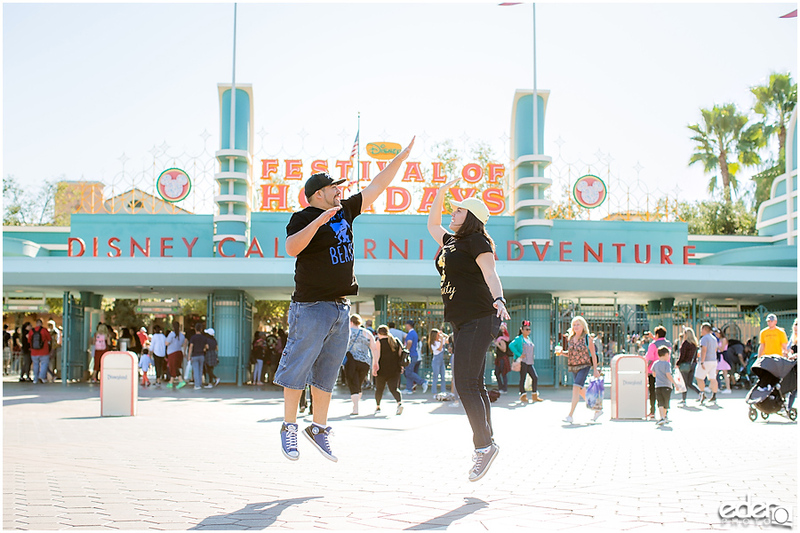 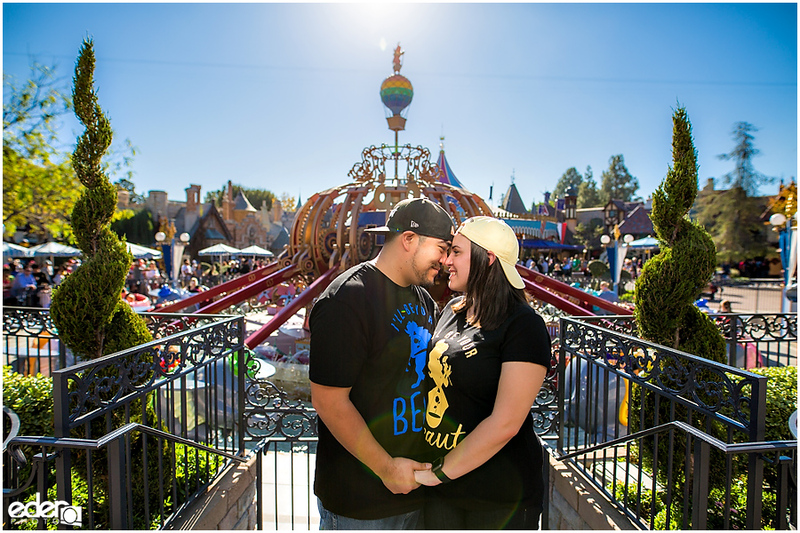 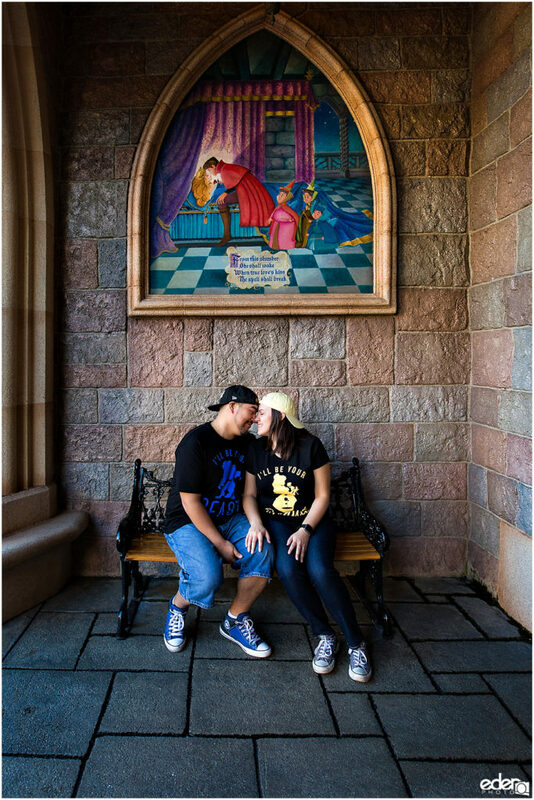 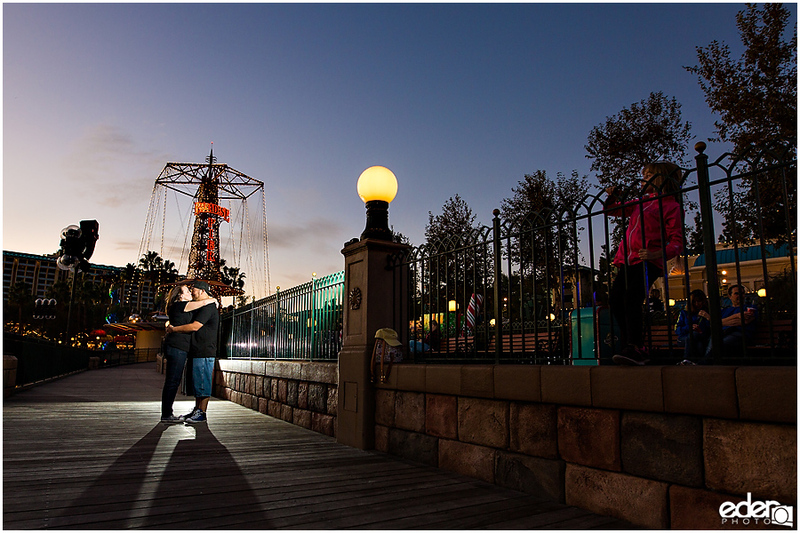 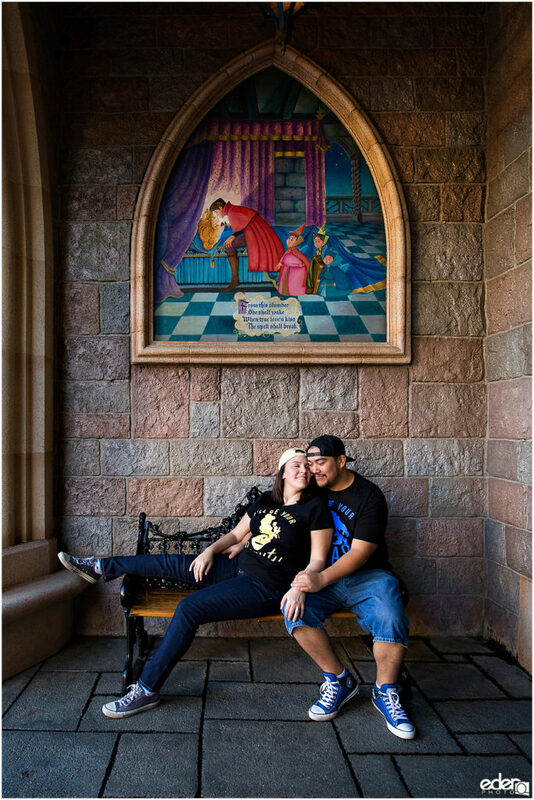 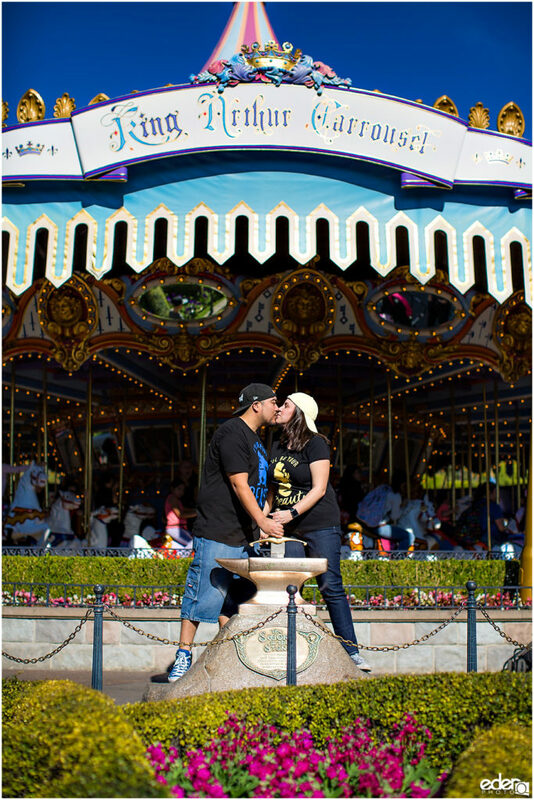 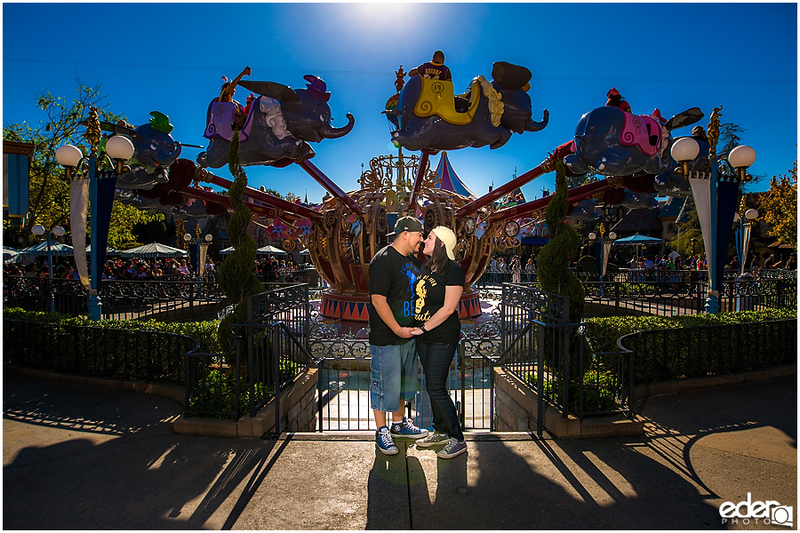 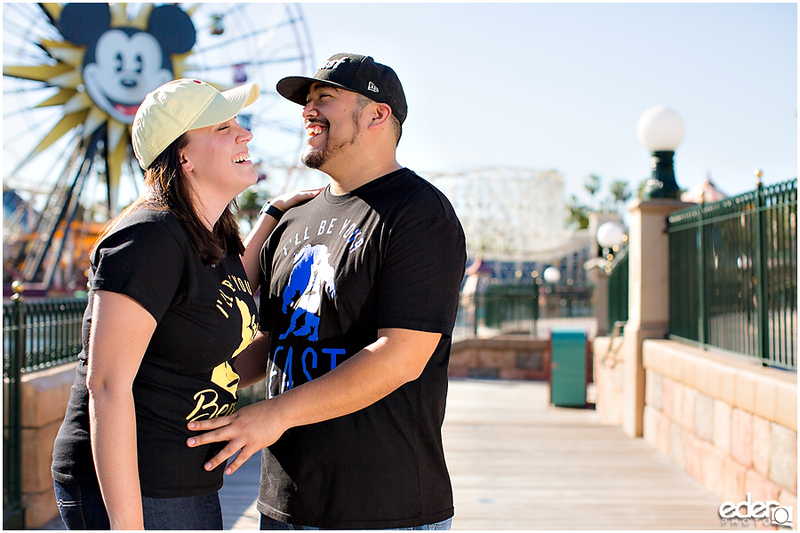 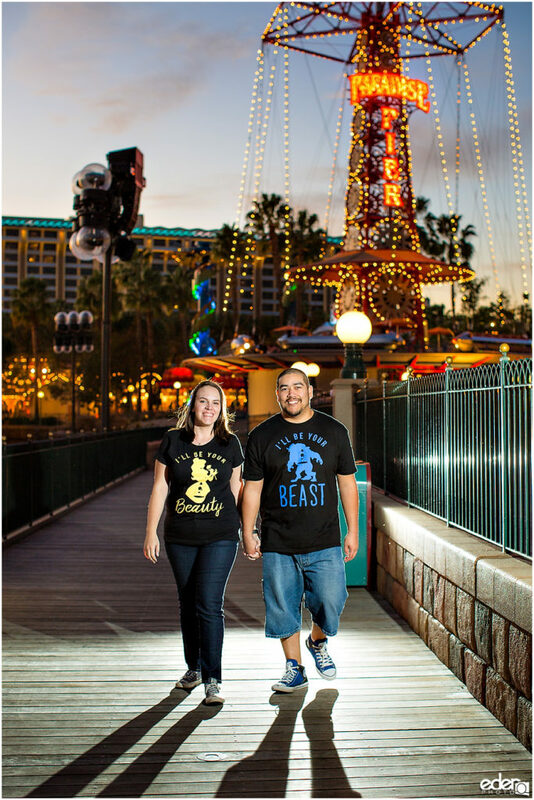 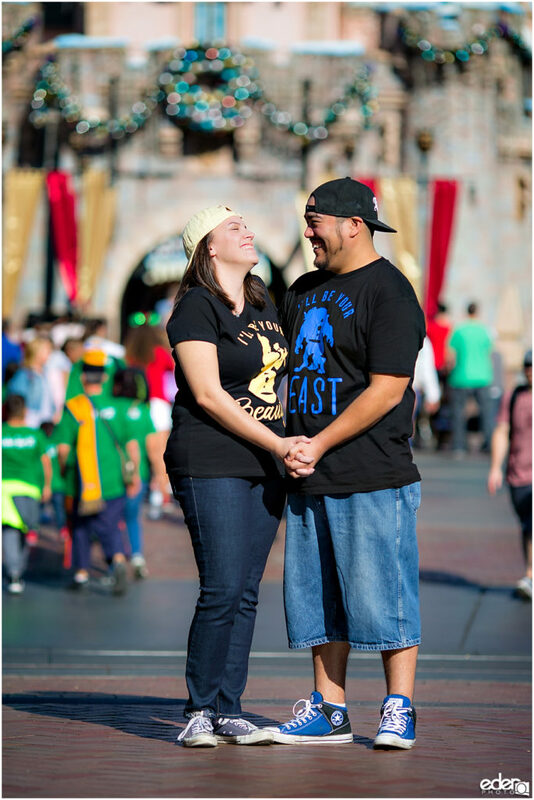 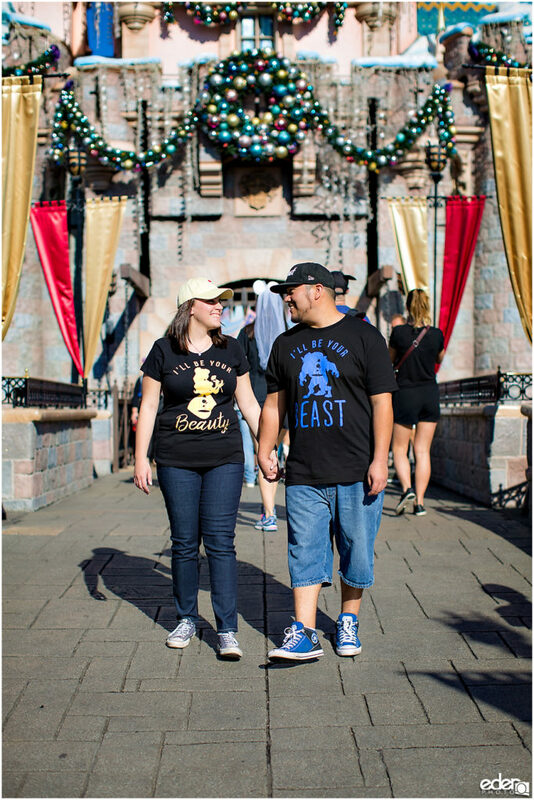 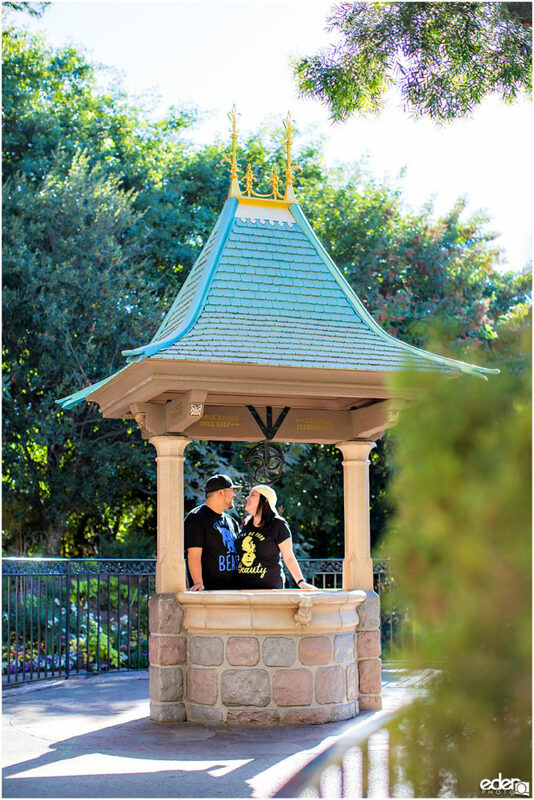 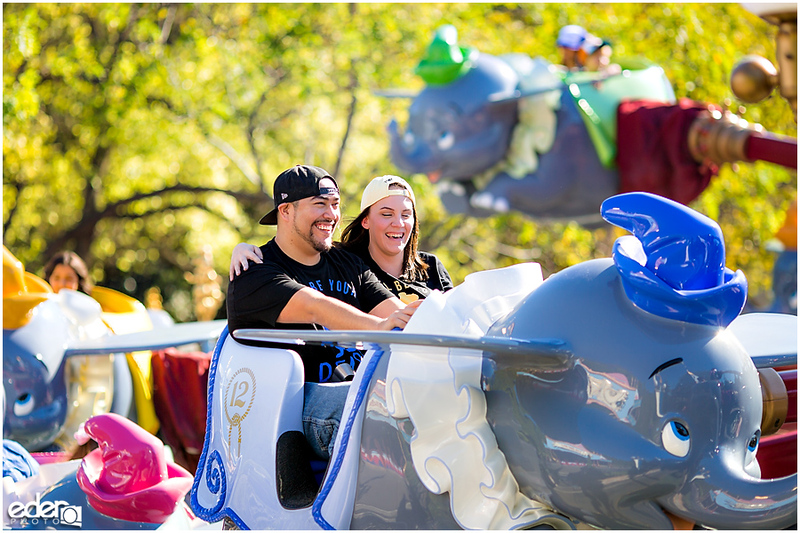 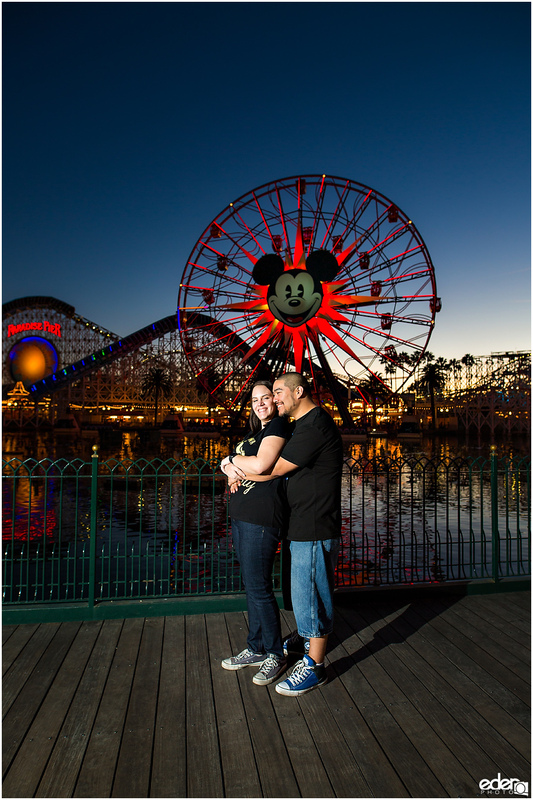 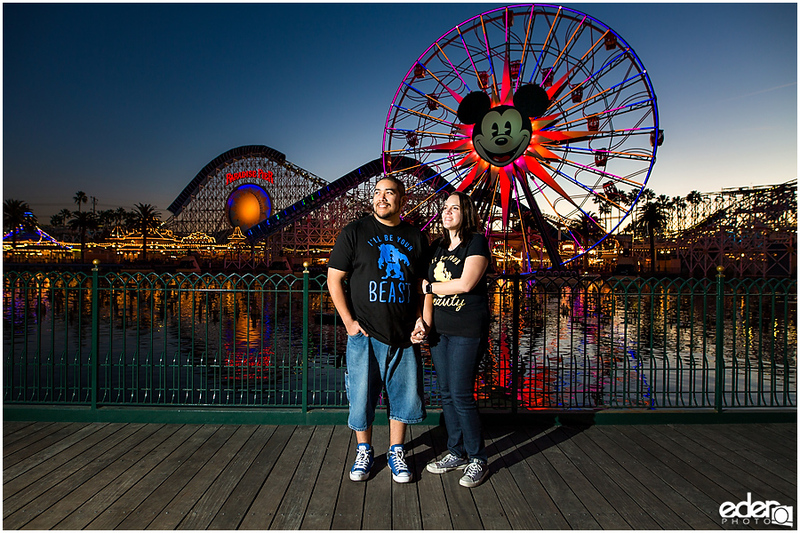 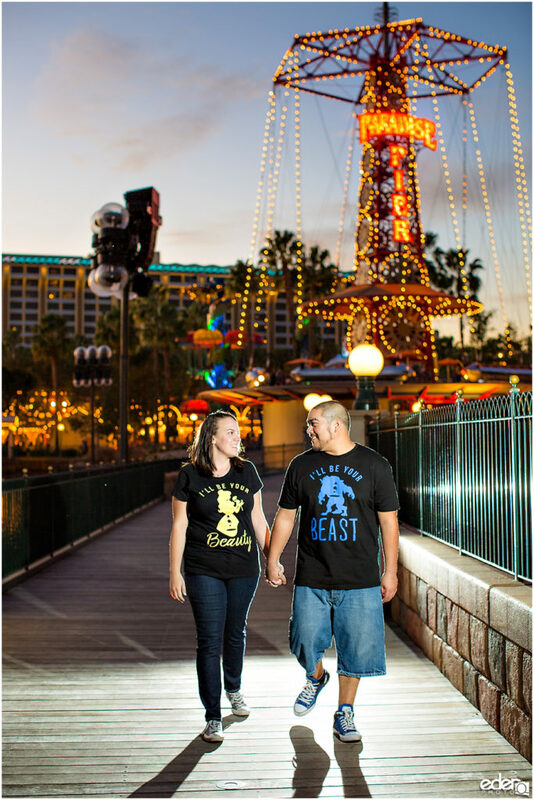 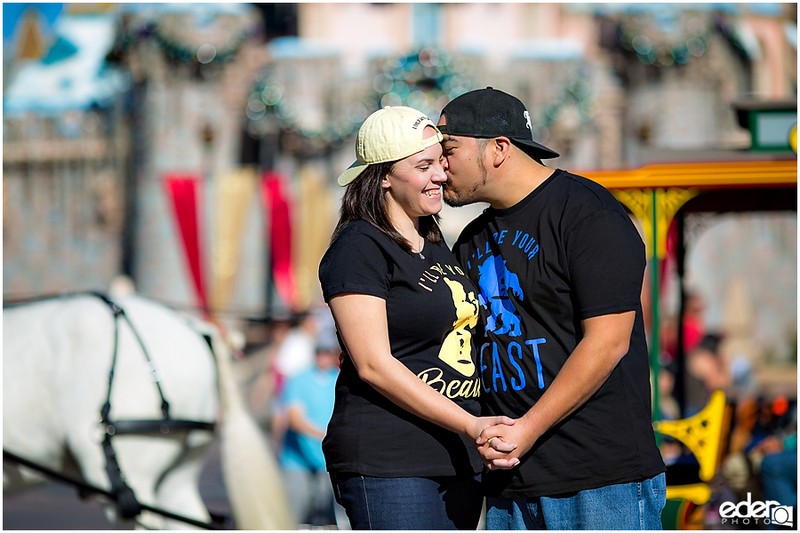 When first meeting with Stacey and Stephen it was clear that the best plan was a Disneyland Engagement Session. 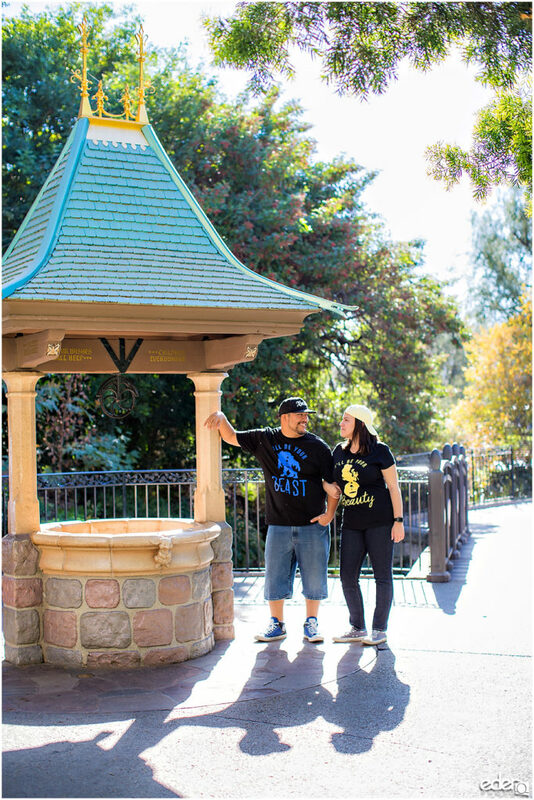 On their days off from work, they like to go there to spend time with each other. 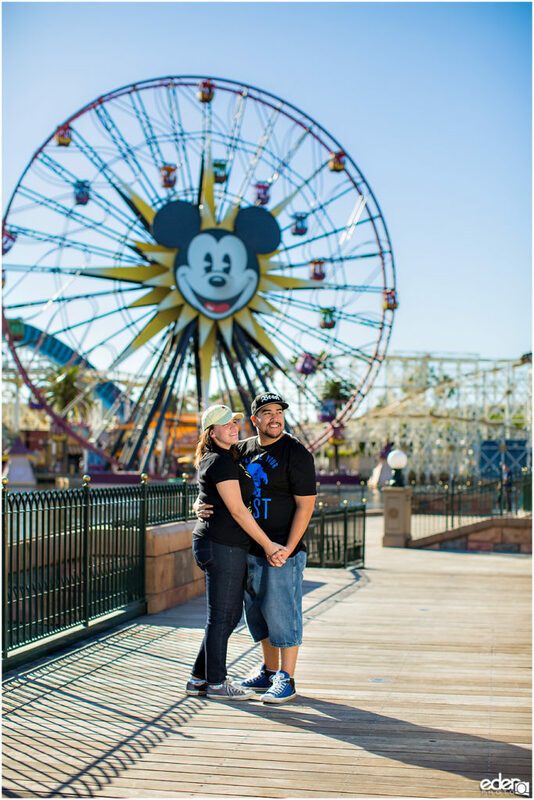 Since I have a Disneyland Annual Pass, I was happy to join them for a fun day in the park. 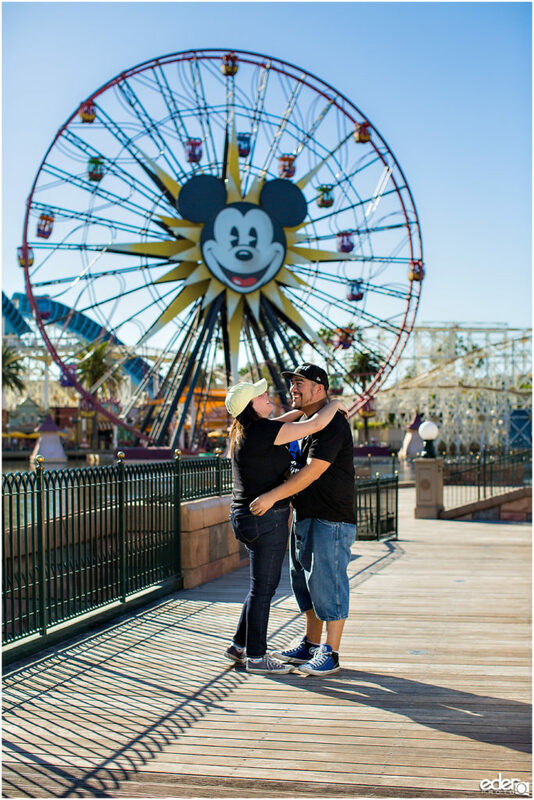 The plan was to get into the park early when the crowds are smaller. 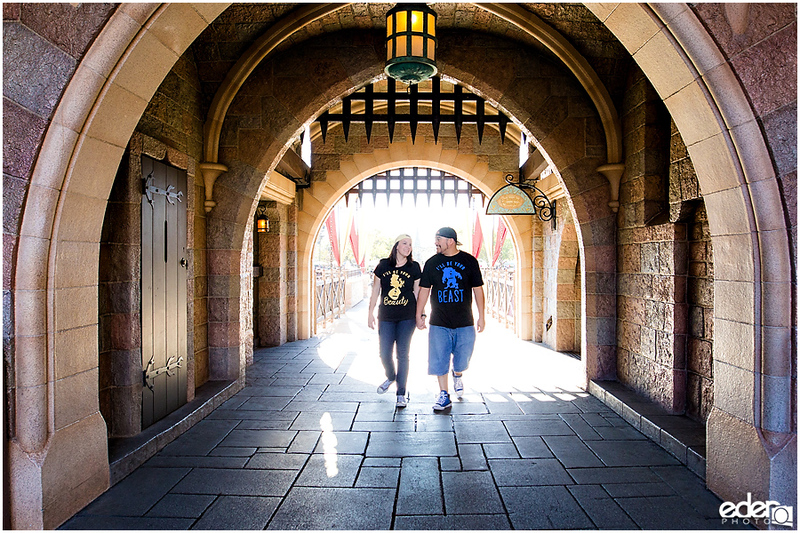 Getting there early also gave us more time so that we could take our time. 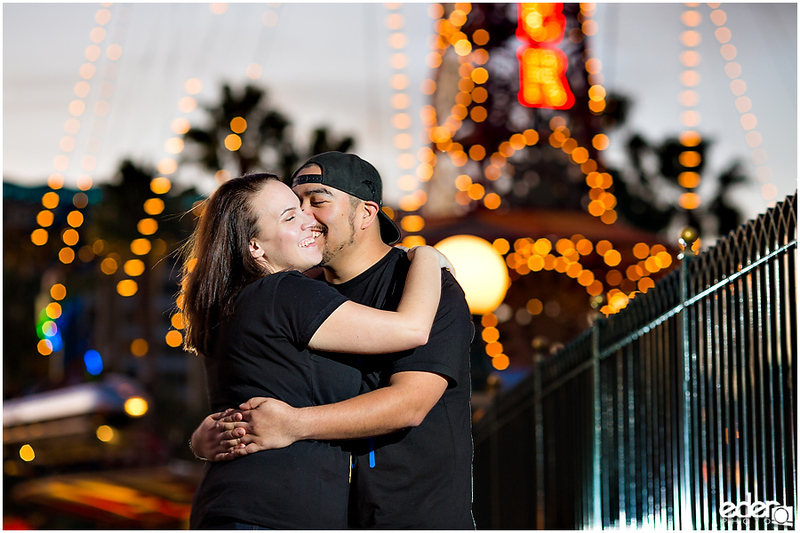 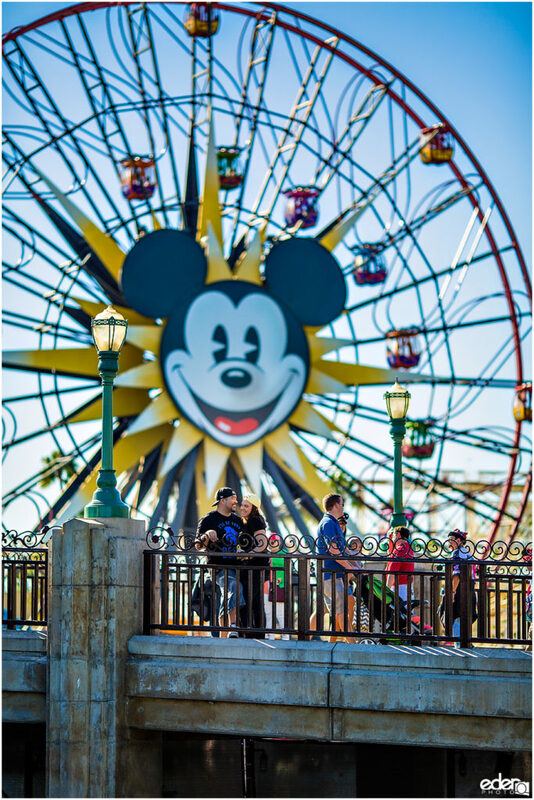 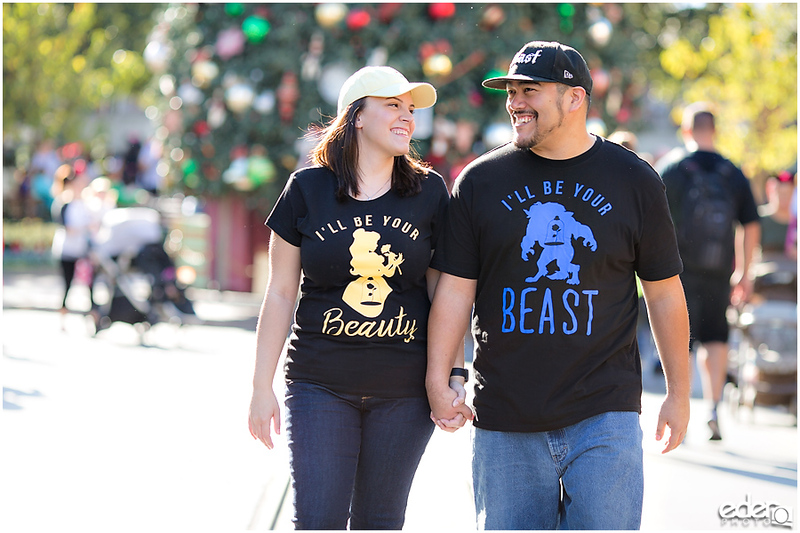 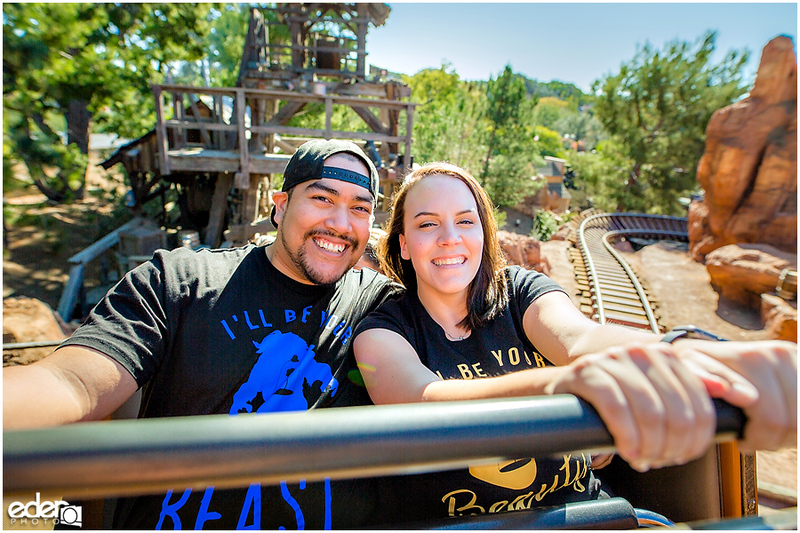 When taking portraits at Disneyland the key is having patience. 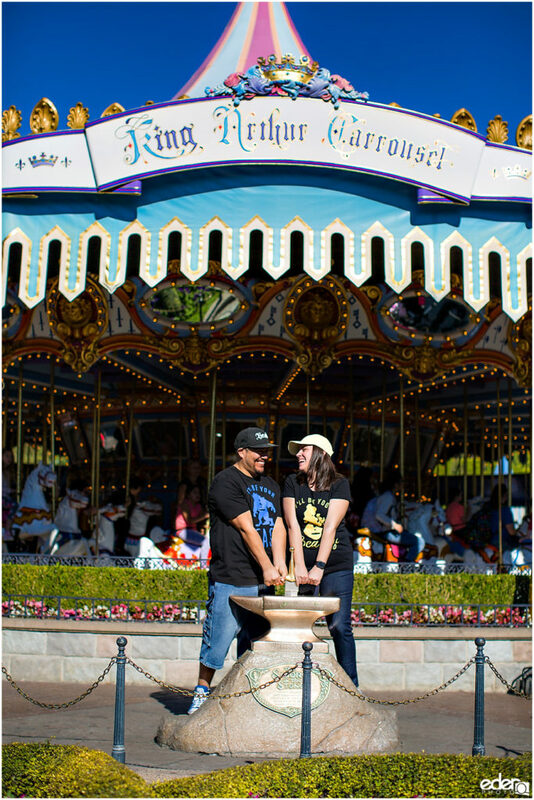 We pick out a spot and just wait for the waves of people to go through. 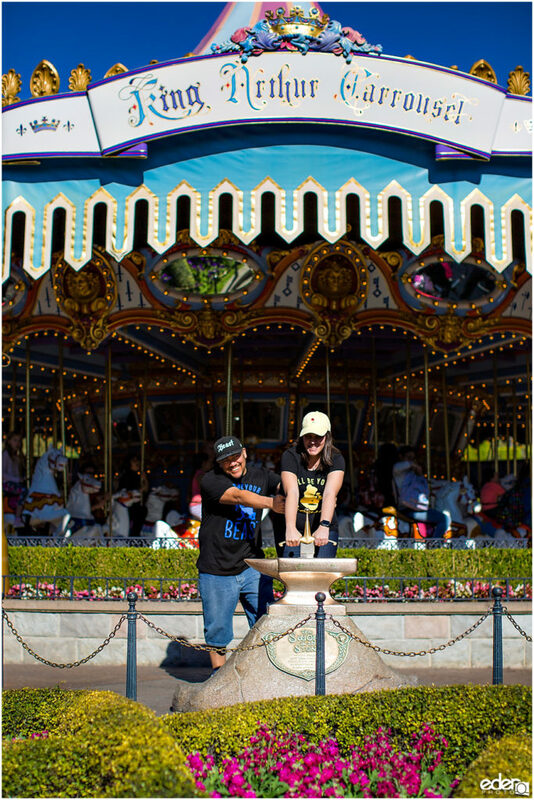 Not feeling like we are in a rush to get anything is important in that type of environment. 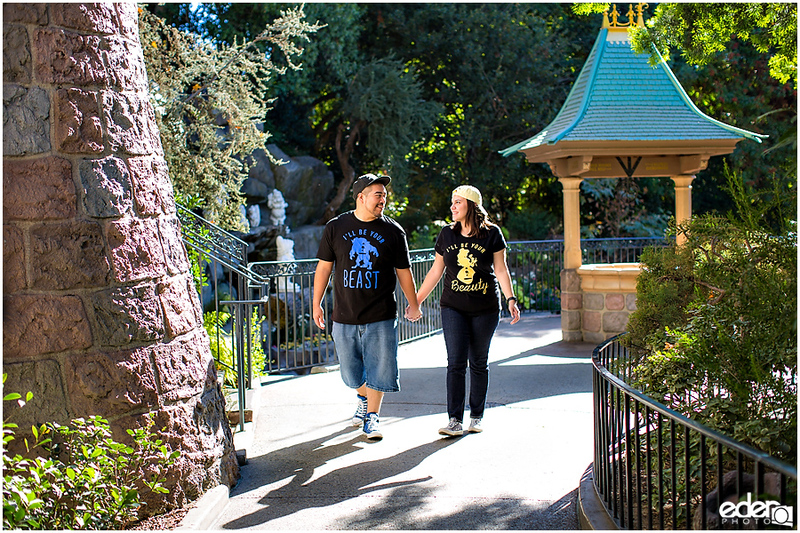 We went all through the park taking photos in some of their favorite places. 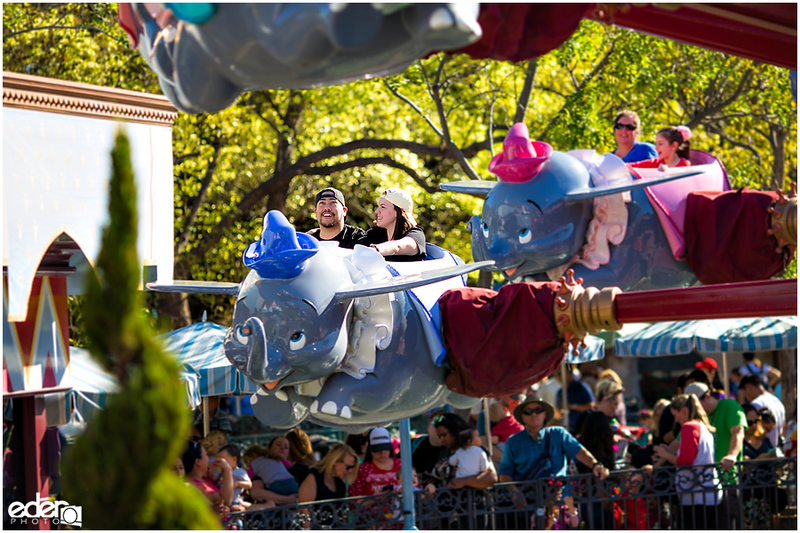 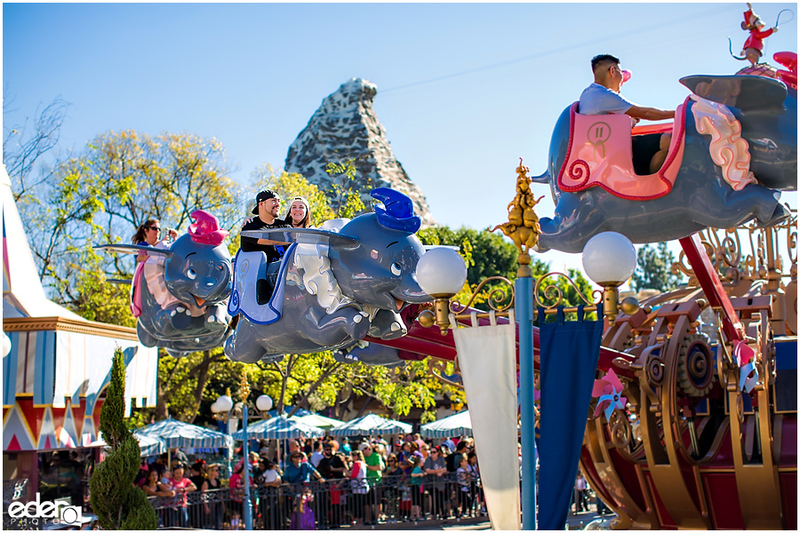 Some of those included Sleeping Beuty’s Castle, Dumbo, Thunder Mountain and the Paradise Pier. 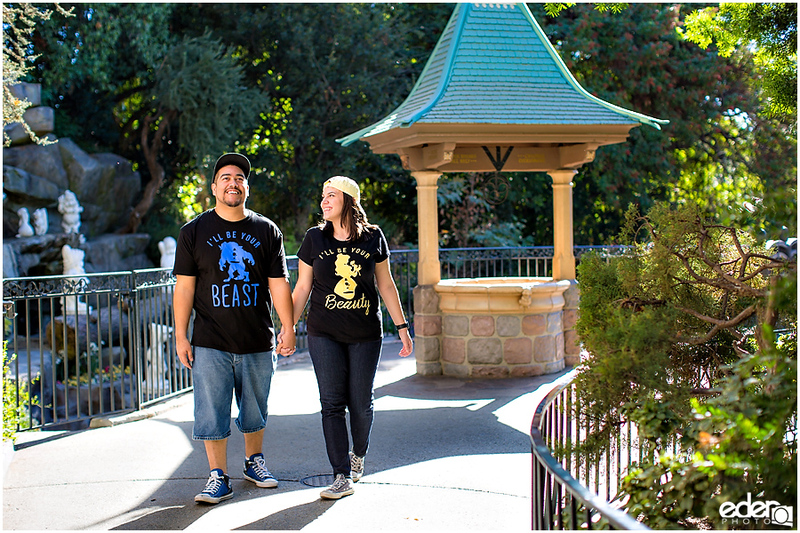 It was a fun day in the park.